Jenna Elizabeth Johnson: The Otherworld Omnibus is here! The Otherworld Omnibus is here! This is just a quick post to tell all of you about the release of the Otherworld Trilogy, Omnibus Edition! It is available from smashwords.com and amazon.com, and will be up on barnesandnoble.com soon. I think most of you have already purchased the other books separately, and yes there are extras in this one, but don't fret, I'll be posting them here one at a time. I probably won't post the interview with Meghan and Cade or my commentary on the series itself for another couple of weeks or so (I want to give everyone a chance to read Luathara since there are some spoilers in those extras), but I plan on putting the map up early next week. This Omnibus Edition includes the entire Otherworld Trilogy, as well as a commentary from the author, an interview with the main characters, a map of Eile, and a short story from the author's other series, The Legend of Oescienne. Meghan Elam's life may not have been perfect, but at least it was somewhere just outside the realm of normal. Of course, it only gets worse when Cade MacRoich shows up and saves her from a pack of bloodthirsty monsters. And Cade doesn't stop after playing the part of the redeeming hero. He informs Meghan that she is not human, but Faelorehn and immortal. With the help of her mysterious rescuer, Meghan gradually learns who she truly is and that danger waits for her around every corner, danger that only grows when she ventures into the Otherworld. Between a vindictive goddess nipping at her heals and a mother who has been keeping secrets from her, Meghan must learn her new place in a magical and terrifying world, a world she is now very much a part of. 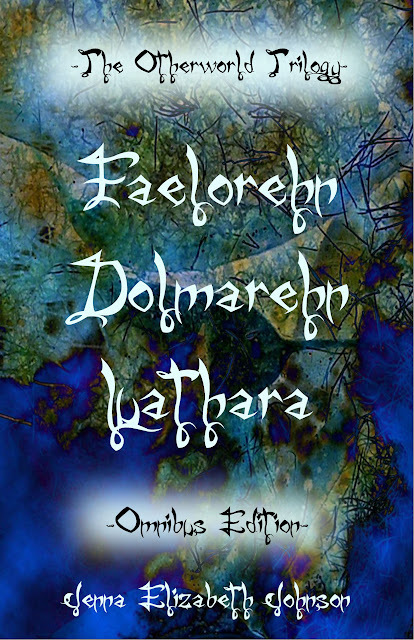 Also, I want to let you guys know that I've priced Faelorehn for free on smashwords.com and I've let Amazon know that it's at that price (so hopefully they'll change it soon!). Feel free to let your friends know! Character Interview with Meghan and Cade! Omnibus Extras and Faelorehn is FREE on Amazon!